Elizabeth Arden Prevage Face Advanced Anti-Ageing Serum transforms anti-aging skincare with advanced Idebenone technology, the most powerful antioxidant available today with an EPF rating of 95. Re-engineered to help create a reserve within the skin to release protective and corrective benefits when and where needed most. 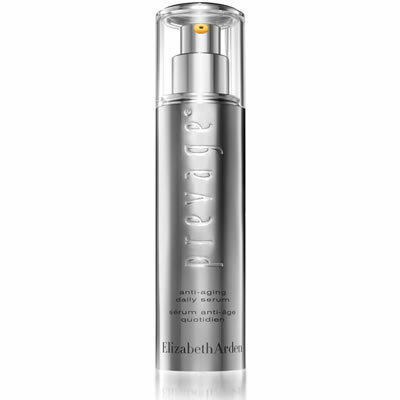 Elizabeth Arden Prevage Face Advanced Anti-Ageing Serum measurably diminishes the appearance of lines, wrinkles, minor scars, redness, age spots and sun damage so skin looks younger than ever.